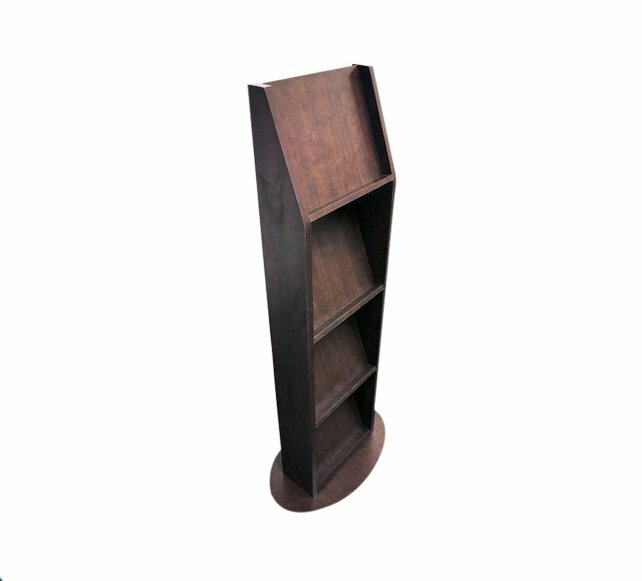 Custom made waiter station with built-in reading light; extended edges to the back and sides; 2 drawers with cutlery dividers; 2 cupboard doors & adjustable shelves. 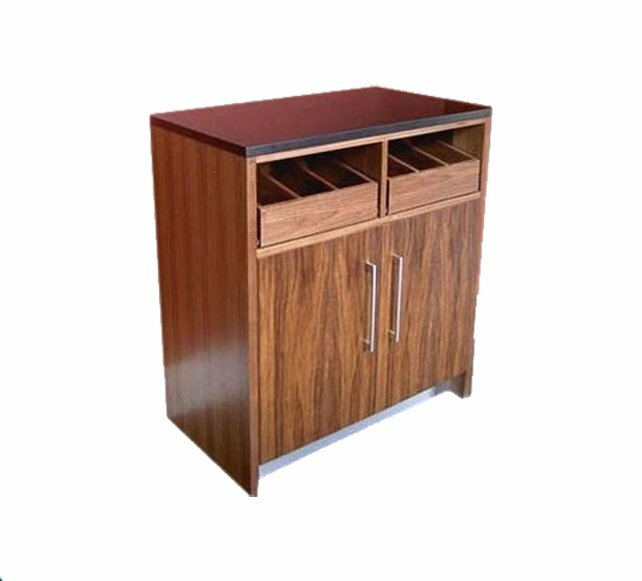 Finish: Walnut veneer and solid with clear lacquer finish. Ribbed design feature. 20mm thick black granite work top. Brushed stainless steel plinth. Request a quote or contact us for more details on our custom made maitre d stations.